Inspiration of the Day: Gemstone Cupcakes! 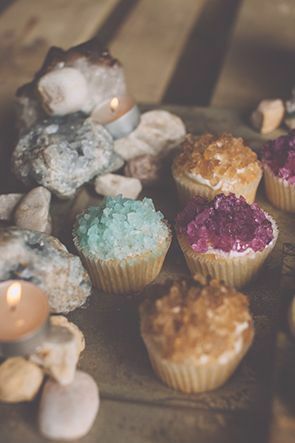 Gemstone cupcakes… what a great idea. I don’t understand how this is the first time I hear about this seeing as though I love baking, cupcakes and gemstones! These cupcakes are probably the coolest thing I will see today. Follow the link for a DIY gemstone cupcakes with Alana Jones-Mann.